This is a sponsored conversation in partnership with Acorn, all opinions are 100% my own. I simply love summertime because it means spending more time outdoors with friends and family. When the weather turns warmer and the days get longer, we enjoy grilling, backyard get-togethers and picnics. On Wednesday nights, our town has live music in the park and we often bring food for potluck meals and meet up with friends. I love to entertain casually, but what I don’t enjoy is the cleanup and having to spend time in the kitchen doing dishes while everyone else is having fun. 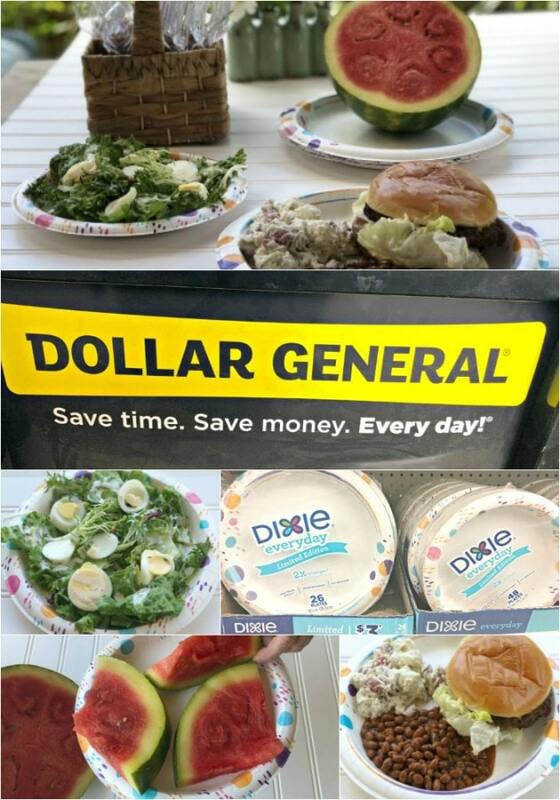 Dixie® has taken the biggest part of that problem off my “plate” with their outstanding products. 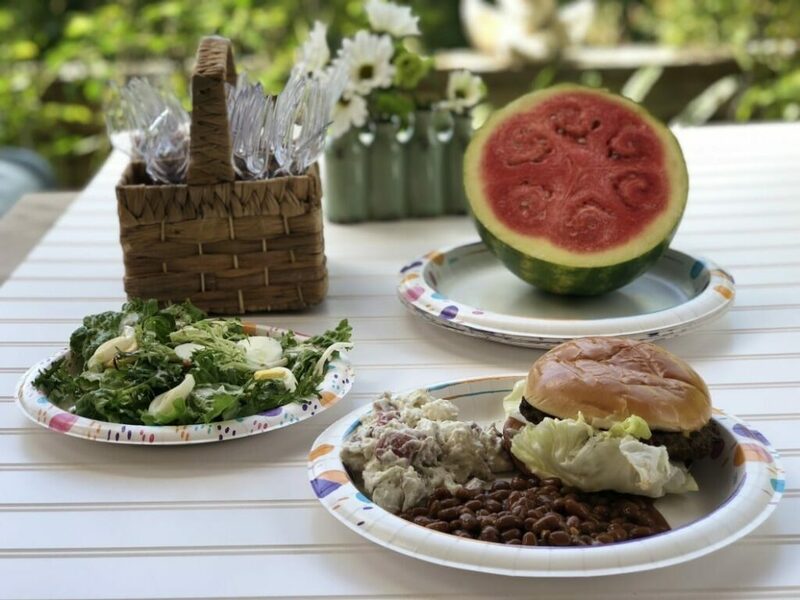 Have you ever tried to eat summer foods on soggy, skimpy plates? I know I have picked up a plate of food on a flimsy paper plate only to have the whole thing fall apart. If you have young kids or even elderly people in your house, then you know that using cheap bendable paper plates is an accident just waiting to happen. 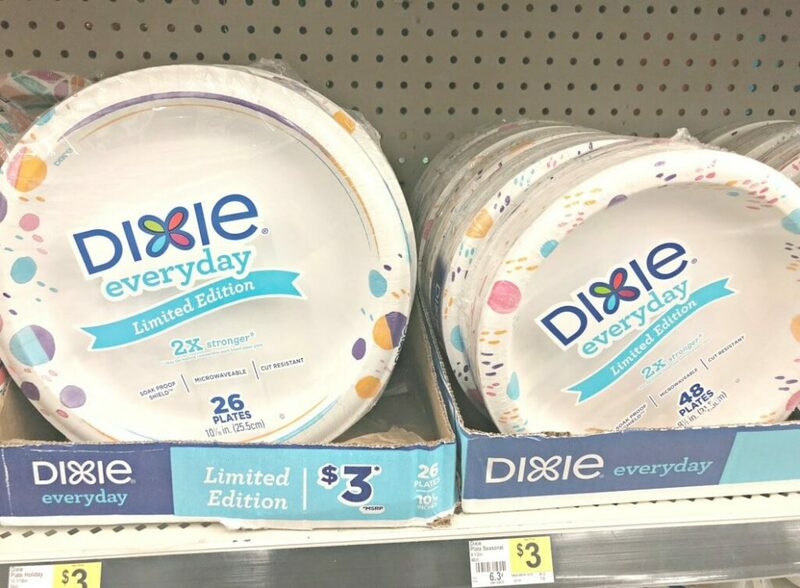 With Dixie, your paper plates will really hold up. They have 5 layers and are 50% stronger than the leading store brand, so you can double up on servings, not plates. That sounds great to me! Burgers, beans, watermelon, salad dressings and other summer BBQ foods are heavy and juicy. Dixie plates are strong and solid, with cut-resistance and a Soak Proof Shield™. They will provide the substantial strength that our favorite summer foods will need. You don’t have to worry about the liquid from the food soaking through the plate and the lip around the edges helps to keep the food right where it belongs. Plus they are microwavable making reheating those delicious leftovers so easy. I also love to use them for splatter shields which is much better than having to clean out the microwave. Who doesn’t love watermelon? It can be so messy, but it is so good. It just says summertime to me. 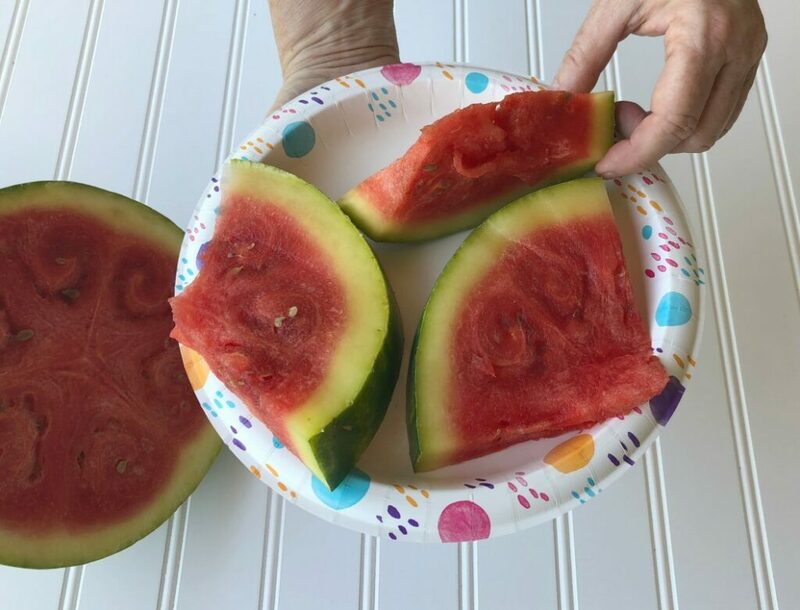 Any plate that can hold up to juicy watermelon will pass the test! As you can see, we tested the plates ourselves and the Dixie plates passed with flying colors. The high lip kept the juices from flowing into our laps, with no soaking through and the plate was sturdy enough to handle the weight of several pieces. 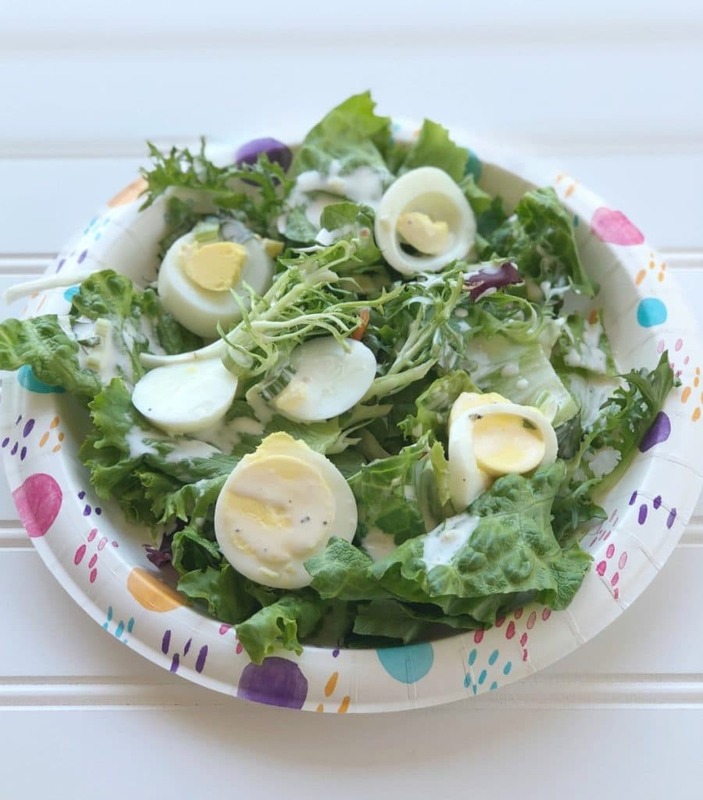 In our outdoor meal, we also served salad with tasty ranch dressing and once again, the Dixie plates not only did their job, they looked pretty too! Enjoy more time with family and friends and less time on cleanup with Dixie products. If you are going camping this summer, be sure and pick up some extra packs at Dollar General. You will also love the affordable prices! You will find them in the summer picnic supply area, in the center of the store, now through the end of July. Although they are great for summer entertaining, you will find uses for them all year long. Find your nearest Dollar General here. 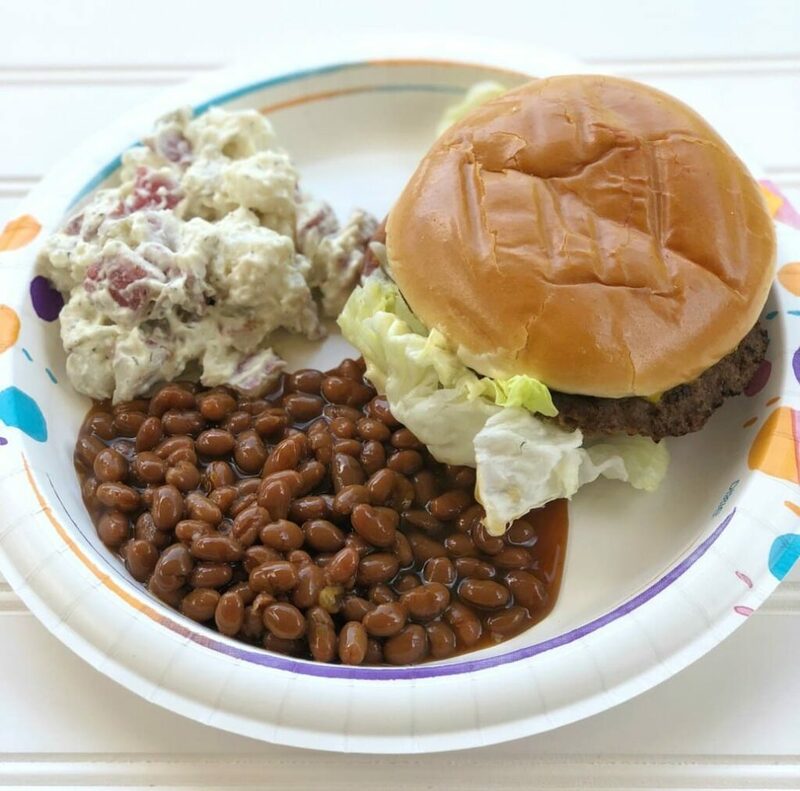 Dixie plates are the best, they are so sturdy so you don’t have any accidental spills….this is my preferred brand when having outdoor meals. What a great price at Dollar General, thank you for sharing!